At TAMA martial arts school, we see to it that we carefully select what we teach our students. This is because we spend more time in training our instructors how to impart their expertise. They are extremely competent and patient—plus, they know how to connect with kids especially those at 4-6 and 7-12 years old. Not to worry since your child does not need any prior experience and they would be training in a fun but safe environment. The real focus of our kid’s karate classes is about developing self-confidence and life skill sets. We are the best instrument for the parents in instilling the values they teach their kids at home. And within just a few short weeks, the students under our program develop unshakeable motivation and focus. 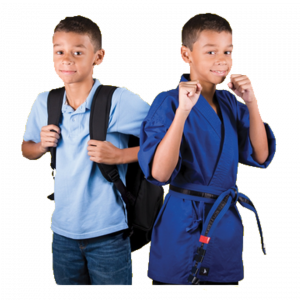 Also, since our martial arts classes are fun and never boring, your child will want to learn these valuable lessons. At TAMA Martial Arts School, we establish a culture of friendship and success; our students want to carry out whatever it will take to do well even it means they need to sweat it out on the martial arts floor, or in their classroom at school to succeed—it simply works well. Now that it sounds fantastic, how will you know that it’s suitable for your child? What if it’s not what your child needs or what you’re looking for? Yes, we understand this, and we have worked with lots of families like yours, and we believe that you’ll have an amazing experience. Yes, it’s totally understandable that you may be unsure yet—this is the reason as to why we got a simple trial program for you. Try our Kid’s Karate Trial Lessons that is taught one on one at no obligation. This is a way of giving back to the community for the last 40 years serving the greater Dayton area – Kettering, Oakwood, Beavercreek, Bellbrook, Riverside, Centerville, Huber Heights, and other Montgomery counties and Greene County areas.